Purchase the best smart thermostat for your family’s needs to control your home’s environment with ease—and save money in the process. Smart thermostats go far beyond their programmable predecessors to offer a whole new level of residential climate control—with the added bonus of energy savings. These high-tech, user-friendly devices all require an installed home Wi-Fi network in order to operate, yet features vary slightly from unit to unit. Some smart thermostats track and analyze your HVAC’s energy usage, monitor humidity, and notify you when it’s time to change your air filter. Other models sense when occupants are at home and automatically adjust the temperature to suit, and yet others know when you’re on your way home and adjust the temperature to be comfortable upon your arrival. 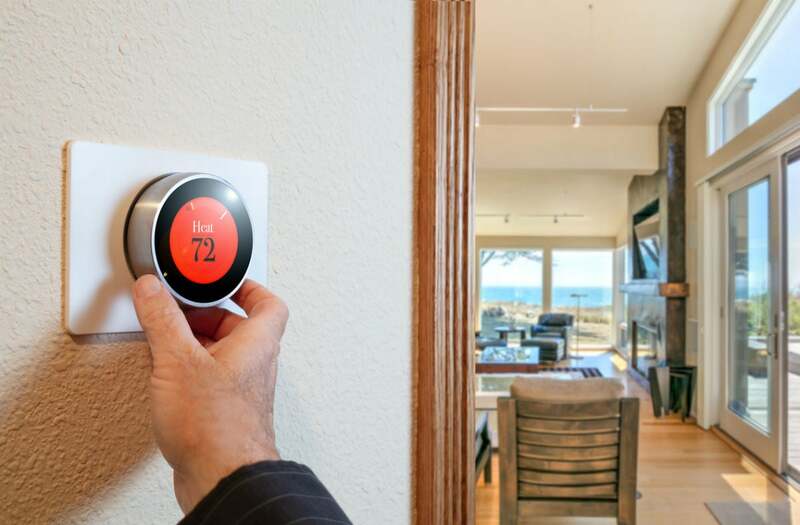 Read on to understand the criteria used to call these models the best smart thermostats available today—and find out why they ranked so high—so that you can pick the right smart thermostat for your home. When shopping, consider the following criteria to end up with the best smart thermostat for your home and lifestyle for years to come. Occupancy sensing. This is a smart thermostat’s ability to detect when someone is in a room and automatically adjust the temperature to suit. This is done by installing remote sensors in different parts of the house. When a sensor detects movement, the smart thermostat adjusts the temperature to a comfortable level. Remote sensors can be used with standard HVAC systems and also with zoned HVAC systems that permit heating of selective rooms in a house. The majority of smart thermostats feature occupancy sensing. Geofencing. This GPS-based detection system saves on utility costs because it doesn’t start heating or cooling until you’re on your way home. Geofencing works via a downloaded app on your smartphone. All you have to do is program a radius around your house—of, say, three miles—and when your smartphone enters the radius, it signals your smart thermostat to start heating or cooling in preparation for your arrival. Mobile apps. All smart thermostats can be controlled from smartphones by the use of downloadable apps. Most smart thermostats have apps that work with both iOS and Android devices, but not all, so check before buying. Apps are available for download through Google Play Store (for Android devices) and Apple iTunes (for iOS devices). Smart home integration. Smart thermostats are designed to integrate with popular home automation systems, such as Amazon Alexa, Wink, Vera, SmartThings, and Logitech Harmony. Some, however, are compatible with only one or two systems, so you’ll want to ensure the thermostat you buy will integrate with the system you’re using. Power needs. Smart thermostats require more electricity than either manual or programmable thermostats to power their network connections and GPS functions. This means the model you select may require a common wire (also known as a C-wire) that runs from the thermostat to the HVAC system. If your home is less than 10 years old, it probably already has a C-wire. If not, you can have one installed, or you can purchase a smart thermostat that doesn’t require a C-wire to function. Some thermostats come with a power extender kit (PEK) as an alternative to a C-wire. 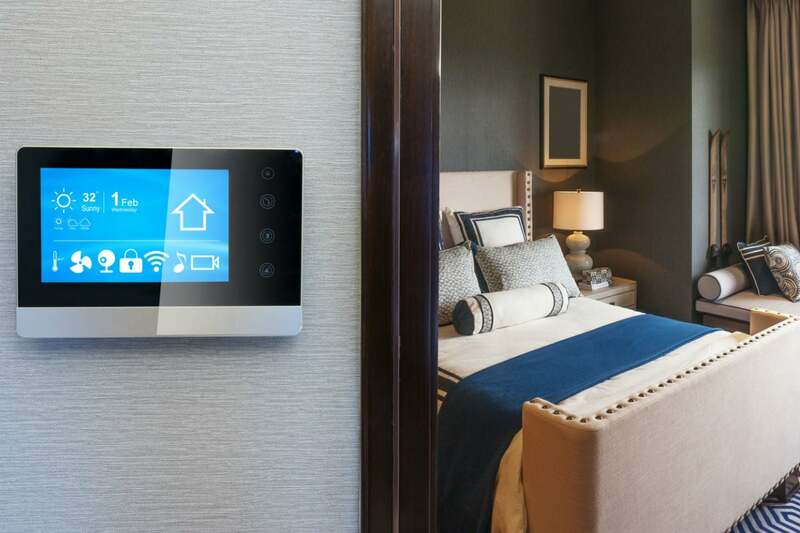 Whether you want to control your HVAC system remotely or fully automate your home’s heating and cooling, one of the following smart thermostats is right for you. This nicely priced smart thermostat offers geofencing, seven-day scheduling, temperature and humidity alerts, and energy usage reports. 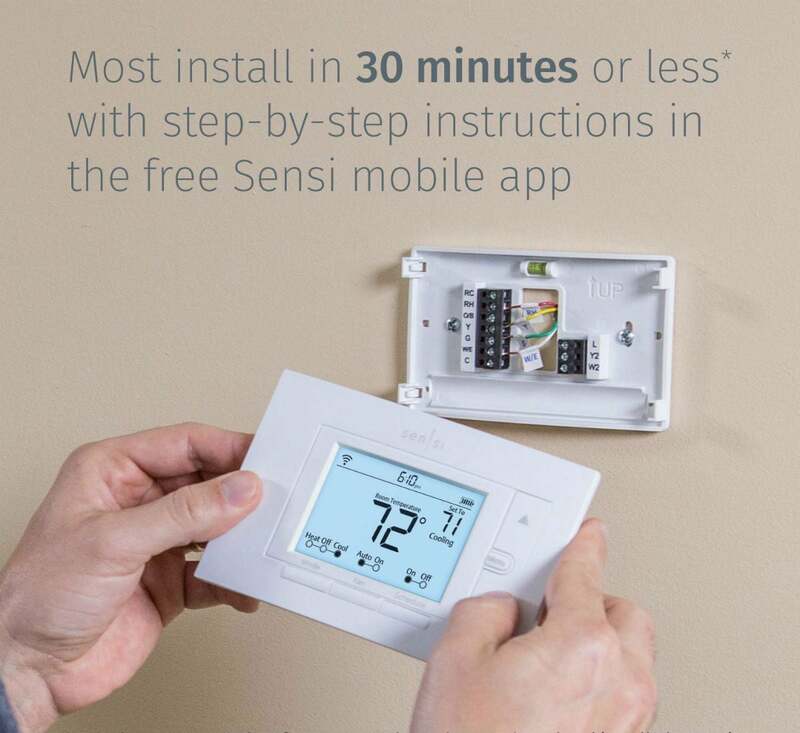 Amazon buyers give the Sensi a hearty 4.3 out of five stars for easy setup (step-by-step video instructions are available) and for connection capability to both iOS and Android devices. The thermostat is powered by either a C-wire or a Power Extender Kit and integrates with Google Assistant, Amazon Alexa, Wink, and Apple HomeKit (a C-wire is needed for Apple HomeKit). 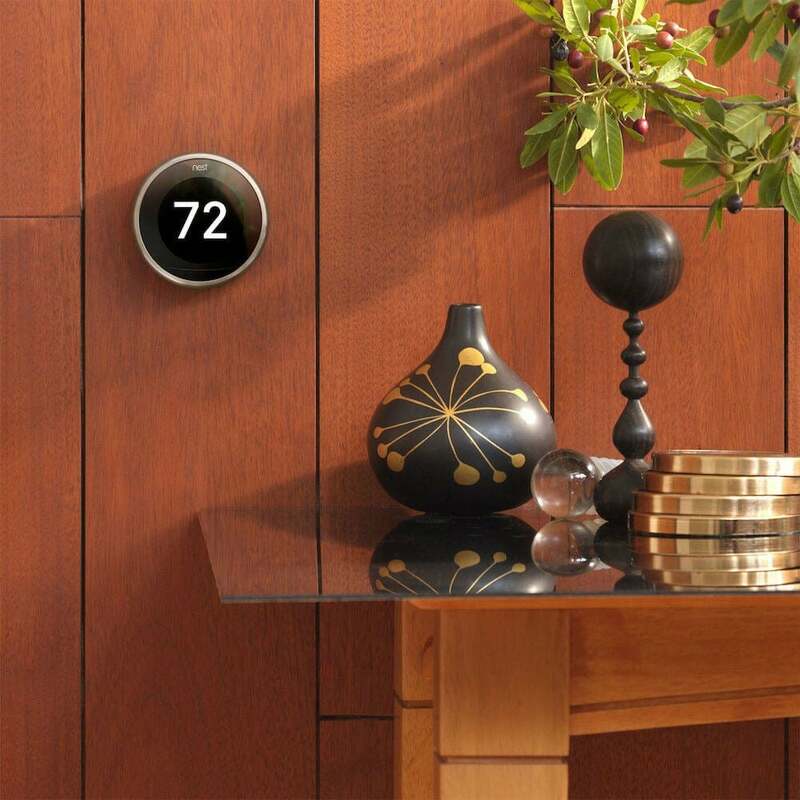 One of the most popular smart thermostats around, the Nest (Third Generation) Easy Learning Thermostat (a Google product) integrates with Google Assistant and Amazon Alexa, and syncs with other Nest Home Smart devices for complete smart home integration. When you perform repetitive tasks, such as turning down the heat at bedtime and turning it up the next morning, the thermostat learns and remembers your choices and begins changing the settings for you. The Nest features occupancy sensing and geofencing (sensors sold separately) as well. Amazon buyers rate it 4.3 out of five stars for easy setup, high-resolution screen with large digital readout, and ability to learn family patterns. The thermostat operates on either a rechargeable lithium-ion battery or by connection to a C-wire. 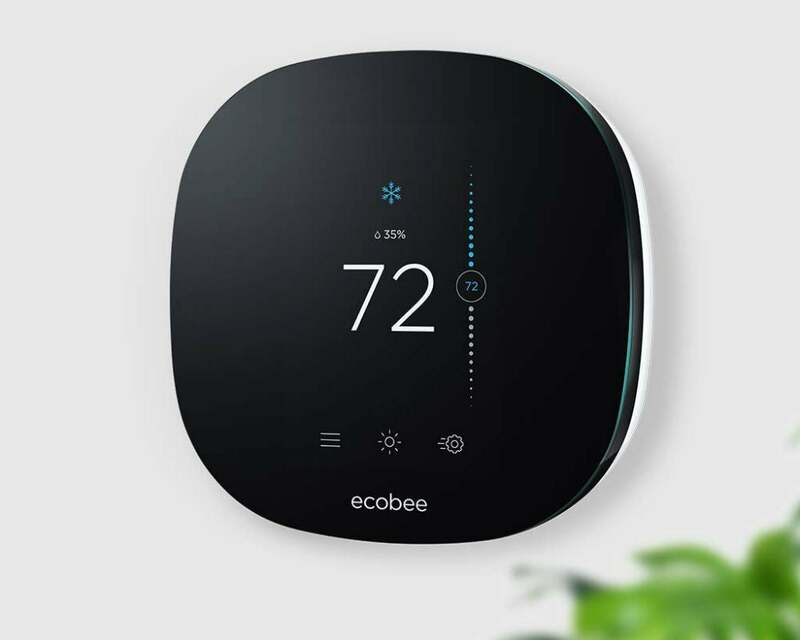 For a wide range of connectivity options, it’s hard to beat the ecobee4 Smart Thermostat, which works with both iOS and Android devices. It comes with its own speaker, microphone, and built-in Alexa function, so you can control your home’s temperature via your voice—and play music and operate smart lights and other Alexa devices from it too. The clever model, which rates four out of five stars from Amazon customers, also integrates with Samsung, Apple, and Wink smart home systems. The ecobee can be powered by a C-wire or connected to a Power Extender Kit (included). It includes one sensor (for occupancy sensing), and additional sensors (sold separately) can be connected to collect temperature information in various rooms of the house and provide geofencing as well. 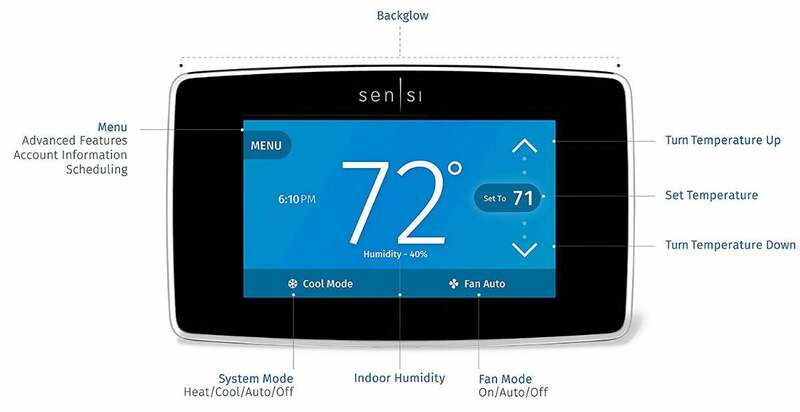 In addition to both iOS and Android connectivity, the Emerson Sensi Wi-Fi Touchscreen Thermostat allows users to easily control all thermostat functions via a large high-definition touch screen panel. It requires a C-wire for operation (no other option) and integrates with many smart home systems, including Alexa, HomeKit, Google Assistant, and Wink. The thermostat features smart alerts, designed to detect temperature or humidity extremes and alert you via your smartphone. Amazon buyers award the Emerson Touchscreen thermostat four out of five stars for easy setup, seven-day scheduling ability, energy usage reports, and geofencing capability. Occupancy sensing is not available on this model. When a C-wire isn’t available, and you’re renting so you can’t install one, the ecobee3 Lite Smart Thermostat is a great option. It comes with a Power Extender Kit and a rechargeable lithium metal battery. Amazon buyers, who give the thermostat 4.1 out of five stars, rave about its occupancy sensing and geofencing capabilities. 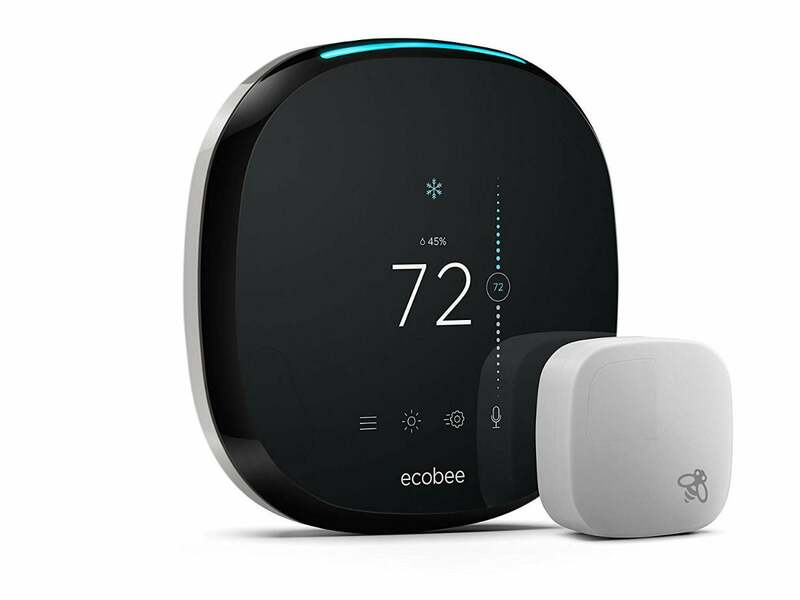 The ecobee3 Lite is compatible with both iOS and Android devices and it integrates with Alexa, Google Assistant, Wink, HomeKit, and Samsung SmartThings. Unlike its big brother (the ecobee4 featured above), the ecobee3 doesn’t come with an included sensor, but you can purchase sensors separately.